These beachside holiday homes are a 5-minute drive from Youghal town centre and have free access to the Quality Hotel's facilities including the leisure centre, crèche and spa. Aherne's to niewielki, luksusowy hotel, który cieszy się doskonałą reputacją. Oferuje on komfortowe pokoje i wyśmienite jedzenie. Hotel usytuowany jest na wybrzeżu, nieopodal plaży zwanej Red Barn. W zaledwie pół godziny dojadą Państwo do Cork, drugiego co do wielkości miasta w Irlandii. 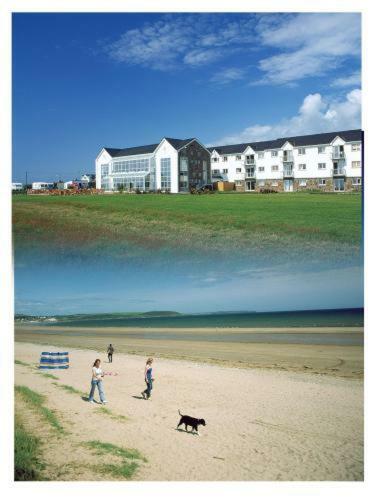 Located on the beautiful seafront at Redbarn Beach, Quality Hotel Youghal Apartments offer spacious 2-bedroom self-catering apartments, only 30 minutes drive from Cork City.